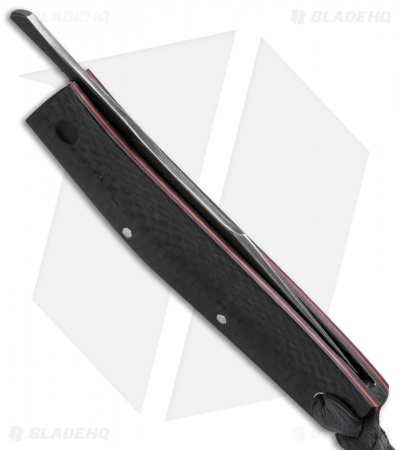 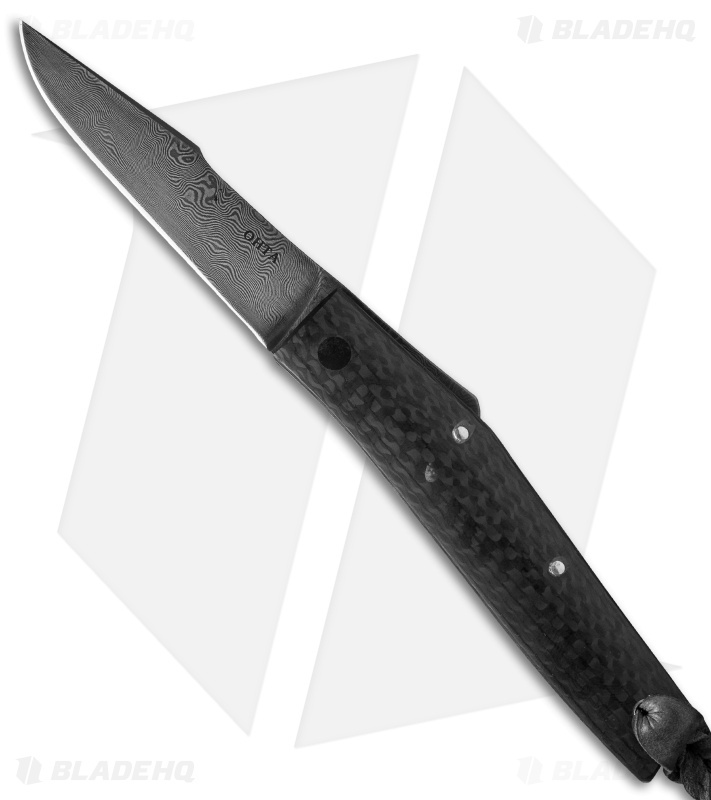 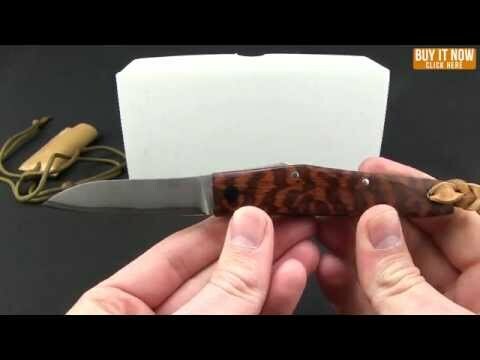 This OFF-L friction folder has a carbon fiber handle with a red liner and carbon fiber back spacer. The blade is carbon Damascus steel. 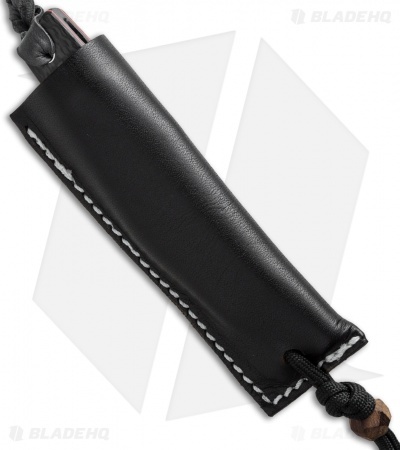 Includes leather sheath with Kydex insert and paracord neck tie. Direct from maker.